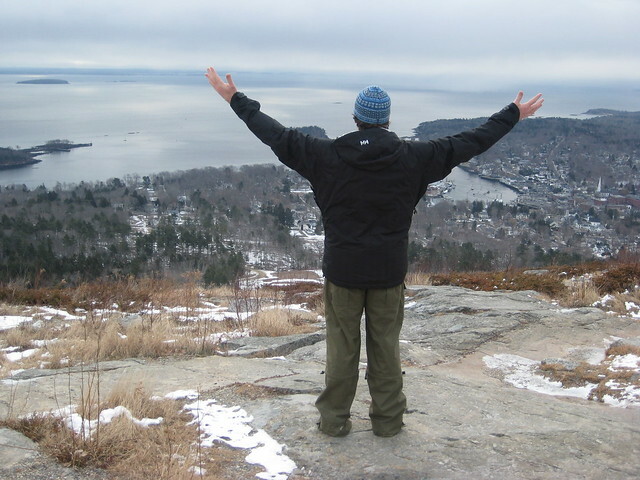 Mountains and oceans, a theme of my life and this blog -- At a very young age, my parents took me to Camden Hills State park and we hiked to the top and looked out over Camden Harbor and the ocean. It was probably one of my most memorable childhood moments outdoors. For many years, I had the memory, but didn't even realize where it was. A few summers ago, Avery and I hiked Mt Megunticook and the memory was renewed atop its rocky overlook. Being born in Maine, loving the mountains, and the rocky coast -- I knew this was a special place. Today, Avery and I did an early morning winter hike to the top of sister peak Mt Battie and we got engaged!